Josh Rivedal is the founder and director of the I’mPossible Project. He is also the author of two books and the star of his own one-man show. In this episode, Josh talks about overcoming his near suicide, the importance of marketing for artists, and the lessons we can learn from failure. One thing Josh has learned from all his trials and tribulations is the power of story. Josh’s career jump started through the help of his one-man show. It helped spark the idea for his second book and the formation of his I’mPossible non-profit organization. Stories are one of the most powerful things we have as humans. We are wired to tell stories. They are what allow us to connect with other people. Josh used the power of his own story to bring awareness to suicide prevention and social justice projects. They have become the foundation of his career. Josh believes artists are against the idea of marketing because they are not good at it, but you can’t be good at something you don’t attempt. Instead of pushing against the idea of business and marketing, embrace them just like you embrace you art. Art businesses, just like other businesses, are here to provide a solution to a problem. Art isn’t a luxury when it’s good. It’s a necessity. So embrace marketing and treat your art like a business. 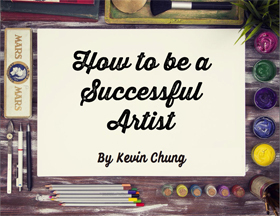 This will help you create and sell more of your work. We need to get over failure. We have been taught to avoid failure at all costs, but it has hampered our ability to grow. When we try to avoid failure, we stop experimenting. We don’t try new things because we are afraid they won’t work. Instead of avoiding failure, embrace it. That doesn’t mean we should try to fail. It just means we need to be willing to fail. The point is to learn from your failures. Josh believes you have to be willing to fail to succeed. Failure is just part of the process. Thomas Edison attempted making the light bulb 10,000 times before finding the right solution. No one is above failure. Once you realize this, you will be able to use it as a spring board for success. created partnerships, went on podcasts, etc. why not be the spark for change yourself? books, podcast, documentaries, resources, etc.